Are you trying to figure out which vehicle is going to be best for taking your family around in Waldorf? 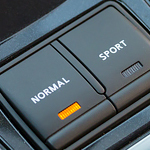 Are you looking for something with power and something with a special interior? Check out the popular AWD crossover that is the Murano from Nissan. You can use the apps that are on your phone right from the screen of the Nissan Murano. If you are interested in accessing those apps while driving, you can connect the phone to your vehicle and take advantage of all that they offer on the vehicle's touchscreen. When you look at the Nissan Altima, there's a little more going on behind the scenes than you first see. Each of the accessories in the vehicle are custom-fit to provide comfort while you're driving in Waldorf. You can roll along the road making a statement with 17-inch alloy wheels. Everyone can see you coming at night from the ground lighting underneath the Altima. You can turn the lights off by pressing a button on the key fob. The fob also opens the doors of your vehicle without using a handle. With so many excellent pickup trucks on the market today, it’s hard to know which one to choose. 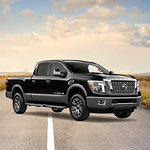 Many drivers are choosing the Nissan Titan XD, a popular full-size pickup that offers many excellent accessories. Stop at Sheehy Nissan of Waldorf and allow our trained staff to show you the many accessories and features offered with the Nissan Titan XD. At Sheehy Nissan of Waldorf we love our loyal community and want to do our part in helping those in need in the Waldorf, Maryland area. At the end of each year, we choose a non-profit or charity in our area to donate money to as part of the Sheehy Auto Stores’ Annual Giving Campaign. This year we donated $5,000 to the Charles County Children’s Aid Society to help support children and families going through tough times in Charles County, Maryland. Owning a Nissan LEAF means that fluctuating oil prices are no longer an issue. You can simply plug this popular compact electric vehicle into an outlet in your home and never worry about prices at the pump again. Let’s check out tis impressive range. When it comes to vehicles, one thing that you want to know is how one particular vehicle compares to the average vehicle. 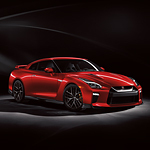 When we at Sheehy Nissan of Waldorf looked at the 2019 Nissan Gt-R, we have seen a lot of differences between this vehicle and almost any given vehicle in the industry. Nowadays, when you're looking for a pre-owned car, you have plenty of options. You get to choose from various sources on the internet or even APPS. However, there's nothing better than face-to-face interaction for doing business the traditional way! That's why the popular Nissan Certified Pre-Owned program makes sense to so many car-buyers! Get FREE Tax Time Help! What is Inside the Nissan Kicks? Are you looking for a new vehicle to purchase? Something that you are not seeing everywhere just yet and that will set you apart? 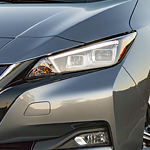 Consider the all-new subcompact SUV that is the Kicks and look into all that this Nissan vehicle offers in its interior. When’s the last time you truly enjoyed driving your vehicle? Nissan is challenging drivers to check out the latest Maxima. The 2018 model is one of the best yet from Nissan, and it comes standard with a very powerful engine for its class. 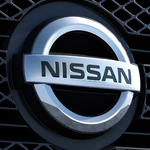 Most of the large cars on the market do not have the long list of features available in the Nissan Maxima, which is one of the reasons that it ranks in the top 5 of large cars on the market, according to US News & World Report.